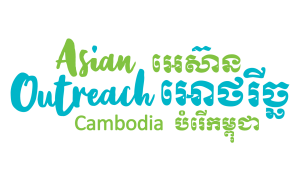 Operating since 1993, Asian Outreach Cambodia is a Christian international non- government organisation (INGO). 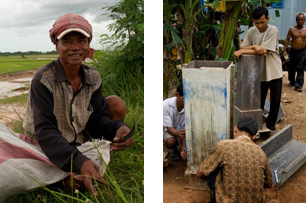 Our vision is restoring hope and dignity to Cambodians by breaking the poverty cycle in rural communities. Our mission is to equip and empower these rural communities through training and resource development. AOC is locally run and operated, and we believe in the power of local people for a local vision; people who understand the needs and context of their country best. AOC has evolved significantly over the past two decades. 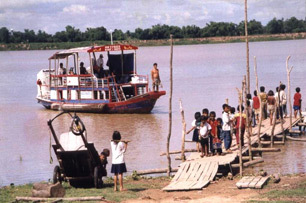 Birthed out of the need to provide medical and spiritual relief to those displaced after the civil war along the banks of the Mekong River, our early work was among the people of Lvea Em district, in Kandal province. During the 1990s and early 2000s our focus was primarily medical relief. Basic health care was a primary need among the target community at the time. Some of our key activities involved building community health clinics, health awareness programs for children, a river ambulance (called the Boat of Hope) and hospital evacuation service, mobile health clinics, and medical support for those with TB and HIV/AIDS. During this period AOC partnered closely with the RCG Ministry of Health to build capacity with health workers and clinics. In the mid 2000s, we handed the operation of medical clinics and other pioneering health programs over to local Ministry of Health employees. Concurrently, AOC began to refocus on providing health education and disease prevention, which required a more long-term, developmental approach. This lead to the development of projects such as water and sanitation, community support for those living with TB and HIV/AIDS, basic health education curriculum for schools, and community based health and hygiene education. AOC also undertook expansion in its target areas too, as projects moved into other districts within Kandal province. A key moment in AOC’s history occurred in 2007, when organisational directorship was handed over to Thong Romanea, a Cambodian national. This transition, from expatriate to local leadership, has been instrumental in promoting AOC’s local credibility, and in the empowerment of other nationals to work together for their own greater good. Growing up during the Khmer Rouge era provided Romanea with a good understanding of the underlying needs of the nation. Romanea’s leadership propelled the organisation into taking a more holistic, community development approach to its work. He has also overseen significant expansion of AOC’s target areas, firstly into neighbouring Prey Veng province, then into northern Stung Treng. Today, AOC works in 30 communities across the country, engaging with families, farmers, small business owners, commune and district leaders, schools, government ministries, and the local church, together to bring about the sustained restoration of human dignity and to provide hope for a better future. 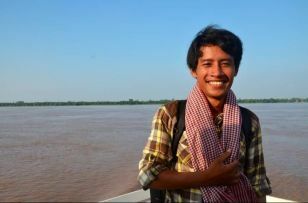 WORKING IN 30 RURAL COMMUNITIES ACROSS CAMBODIA. Our project area spans across two provinces – Stung Treng and Prey Vihear. These areas have been chosen by AOC because of their need and potential, being at the crossroads of the progressing GMR development. Previously AOC worked in Kandal and Prey Veng, these provinces were greatly impacted by the past civil war and Khmer Rouge eras, being so close to the capital. Each of these provinces primarily rely on agriculture for its economy.